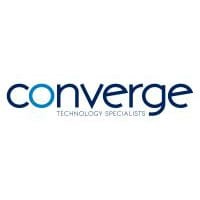 Converge TS, the cloud and managed IT provider for law firms, has today announced a strategic partnership with iManage, the company dedicated to transforming how professionals work. The partnership is designed to offer significant added value to iManage’s client base by providing access to specialist IT guidance from the UK’s only dedicated cloud provider to UK and Irish law firms, enabling them to realise the benefits of iManage Cloud. Converge TS has been selected as an iManage partner due to their 12 years’ experience in working exclusively with law firms. Their deep understanding of how law firms work, in particular firms’ applications, processes and their regulatory environment, means Converge TS is uniquely positioned to support law firms in migrating to the iManage Cloud, ensuring a seamless integration with existing on premise or cloud applications. In addition, Converge TS will be able to advise on the infrastructure implications of iManage upgrades, how issues can be mitigated and design guidance on high performance deployments, both new and existing. iManage clients will have access to an infrastructure management service tailored to maximize application performance, eliminate downtime and free in-house IT teams to concentrate on strategic value-added activities.